Last Sunday, I launched the Edgy Set giveaway - which you still have a chance to join until 11:59 PM tonight. Today, I'm giving you another giveaway to increase your chances of winning! This giveaway is open to all Philippine-based readers and will last until October 21, 2013. 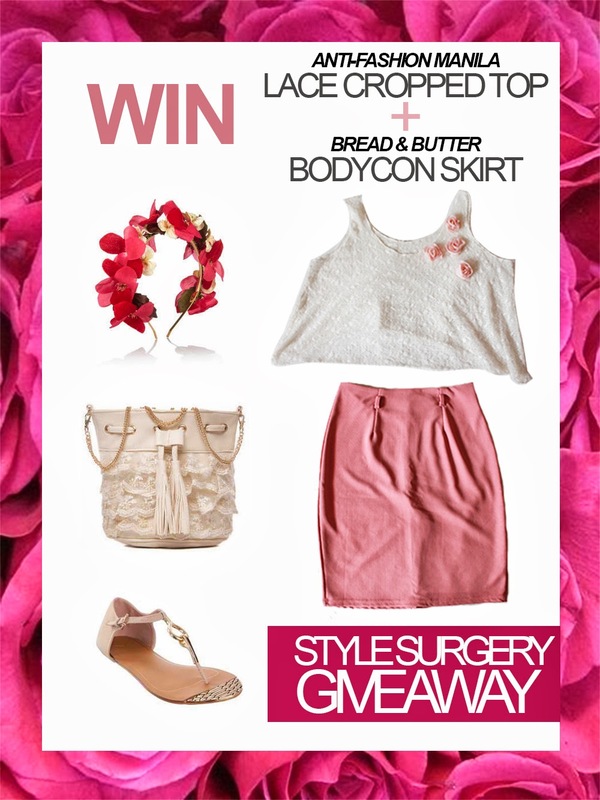 One winner will receive a lace cropped top and a high-waist bodycon skirt as seen in the image below. As always, just follow the steps in the Rafflecopter widget to qualify. Winner will be chosen randomly via Rafflecopter. Announcement will be made on my Facebook page + an email will be sent to the winner. Good luck!